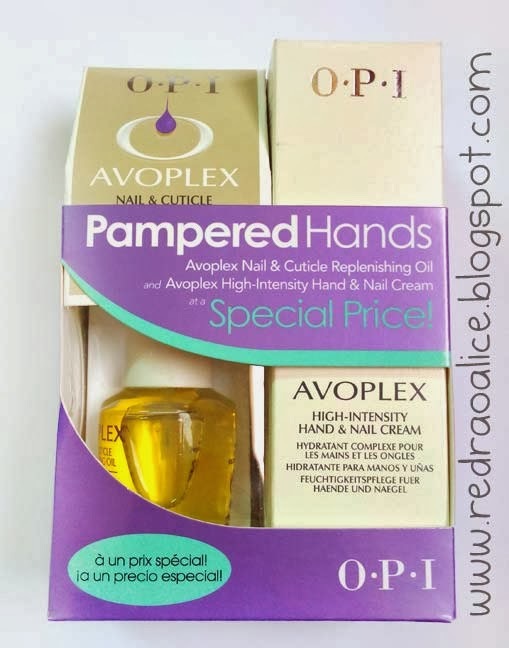 The Avoplex "Pampered Hands" set consists of a "Nail and Cuticle Replenishing oil" and "High Intensity Hand and Nail Cream". Much needed! 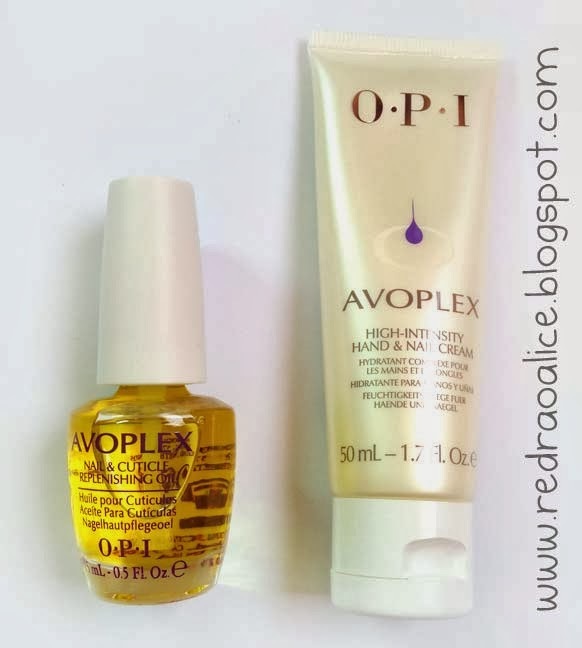 The Nail and Cuticle Replenishing oil moisturizes your nails as well as softens cuticles (cuticles apparently should not be removed, only pushed back). 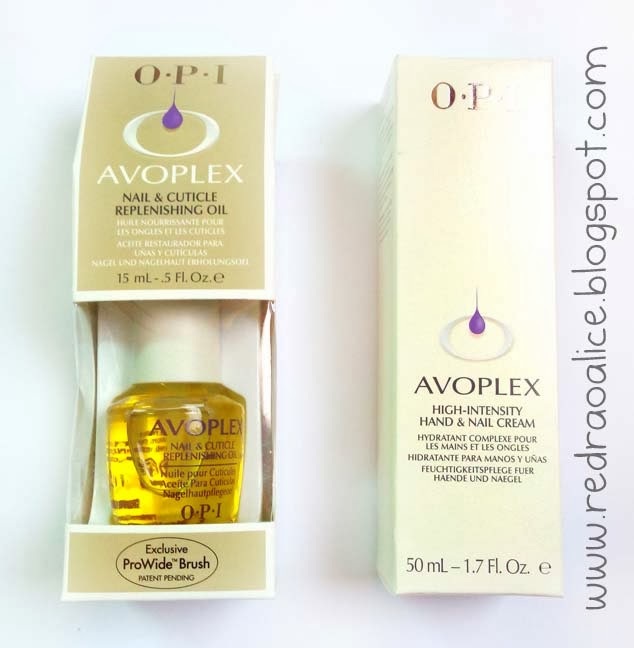 The best thing about this oil is that you don't need to use it only during manicures. It can be used twice daily (though I use it once at night time. before sleeping). I tested the product and it passed my satisfaction test. Brand claims: "OPI's exclusive Avocado Lipid Complex replenishes your nails and cuticles, leaving them looking beautiful". The packaging, like most O.P.I products is simple yet slick. The bottle has the signature shape. The smell of the oil has a slight fruity undertone and hints of avocado. It smells good and is non sticky. The "High Intensity Hand and Nail Cream" is a miracle in a tube. 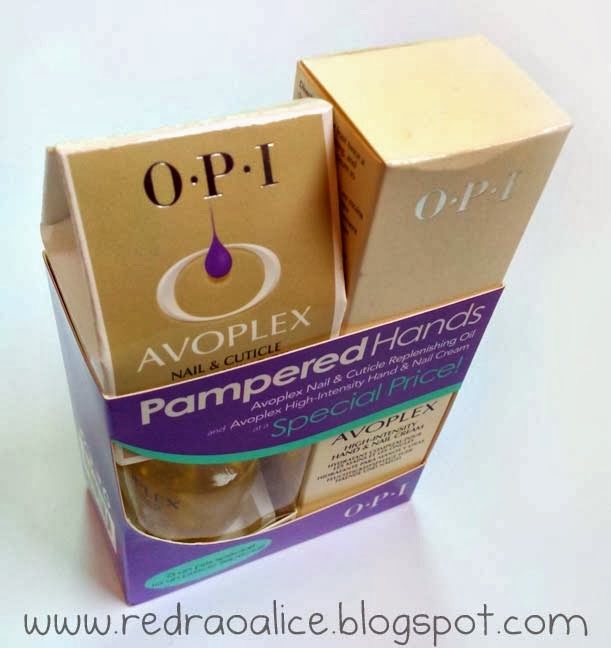 it got rid of my dry, sad finger tips in just one application. Brand claims: "OPI's Advanced Avocado Lipid Complex – A combination of deep-penetrating, skin-loving antioxidants; phospholipids, the biological building blocks of skin; vitamins A, B1, B2, D, and E; essential fatty acids; and Avocado Oil, which closely resembles the skin’s own natural oils." This cream apparently won an award in 2009 so it must be worth it for sure. That fact just made me give this product cookie points! Say Hello to Beautiful Hands and Nails!